High quality real time reverb audio effect, for everything between small rooms, resonators, and infinitely large spaces. 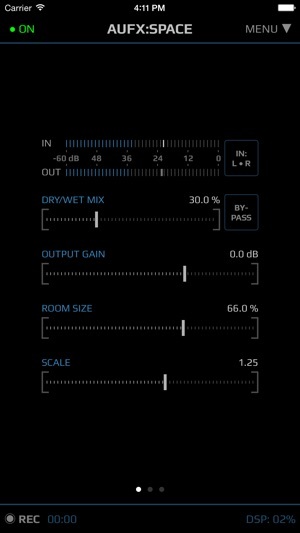 This app is the first in the AUFX series, a collection of simple and powerful audio effect apps. 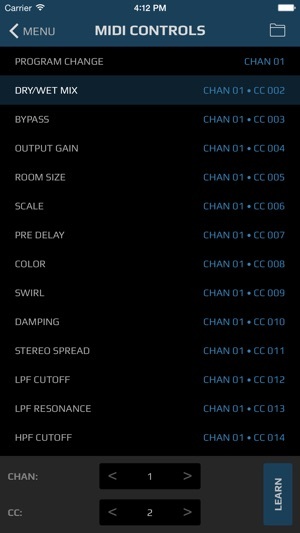 • A multitude of parameters to tweak to get a wide range of sounds. 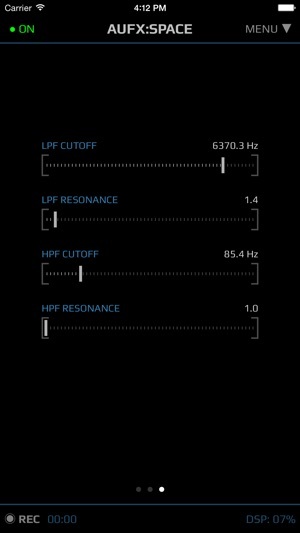 • Process other apps through Inter-App Audio or Audiobus (input/filter/output slots supported). 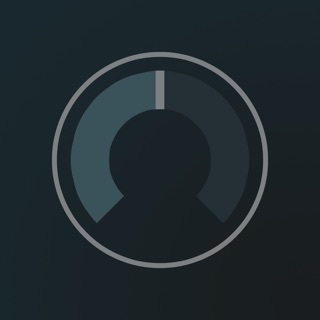 • Supports Audiobus2 state saving. 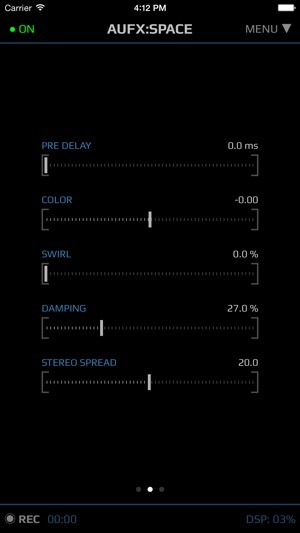 • Built-in lookahead limiter to prevent clipping. Removed the IAA switcher panel, since using this sometimes crashed iOS system processes, rebooting the device! (Sudden black screen with spinning wheel). Also updated to Audiobus SDK 3. Nice clean reverb, very tweakable, stable. A weak point of most iOS synthesizers is their reverb which can sound tinny and overly bright. This app will fix that problem. Try running Sunrizer or Gadget or iSEM through this! 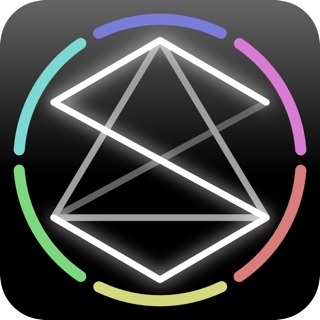 You can run other apps through Space via Audiobus, and record into something like Auria or Garageband, or even record within Space, and then export after. You can also use it as a Plug-in in Auria. Very stable, easy to use, and though it doesn't sound as sweet as my Eventide Space, it does the job better than anything else on iOS right now. I play a lot of ambient music on a fretless bass and this effect app mixed with a chorus and my fretless bass creates an incredibly rich, clean soundscape! I can hardly play my fretless bass without this app it has such a vast dynamic range you literally feel like you entered another dimension in outer space! 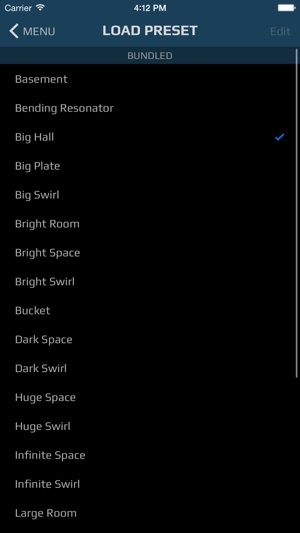 My favorite preset is "bright swirl" and with just a few tweaks of a slider you can make it virtually any reverb you desire! If you play any instrument I advise this app as a must get! Sounds great, for anything from a minimal "room" effect sound to a drenching wash that makes jingling keys sound like a symphony. Pretty amazing. Great integration into audiobus, AudioShare, not CPU intensive. Very, very usable and musical.